We plan litter D in spring 2018! Father: Always Ready Aleph Kimbilo (Maiky) *1.6. 2014 – his parents are Benjamin and Miya is the firstborn male dog of my breeding. 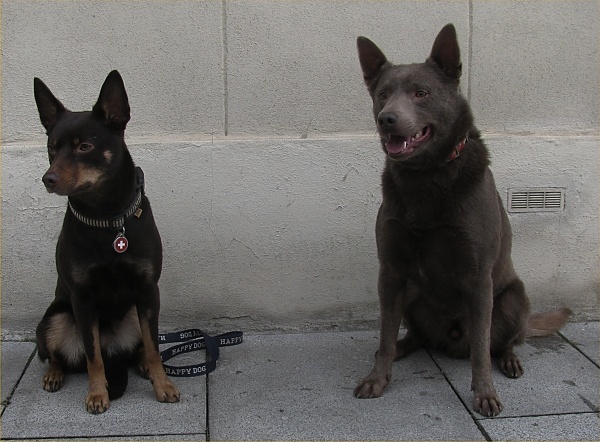 Benjamin and Miya have a lot of experience in various sports – dogdancing, nosework, sport kynology nad IPO. Miya’s ancestors (Norway and Sweden) are champions in agility and nosework. Maiky is very intelligent and temperament male with the great interest for work, though some time with his own opinion how to reach the goal. He makes various activities with his owner – agility, nosework, sport cynology, rescue finding and canisterapie. His biggest potential is sheep pasturing (2 exams ZVOP and HWT CS). Last year he took participation of championship in pasturing IHT 1 CS and was 4th. His owner has got 2 herds of sheep for competition, so pasturing is his main goal of work. He has also experience and great success in exhibition area – a lot of BOB and BOS, Czech Junior Champion and Champion of ČMKU. 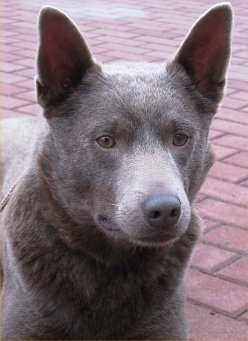 His siblings from litter A, B and C are also successful both in sport and exhibition area. Minimally 2 of them are quite good in agility. Mother: Kelpie’s Xapatán *24.7. 2015 – is young and has very stable in her character. Her Italian father Vinny is trained in truffle finding and her Swiss grandfather Sheep scare´s Allright is good at agility (A3). I try to make a lot of various activities with her because she is very creative and intelligent. Her virtue is concentration and universality, so we tried a bit of dogfrisbee, dogdancing, nosework, sport … She is also very kind of children and people generally, so I plan to prepare her for canisterapeutic exams. She only starts in exhibition area but she reached Czech Junior Champion. 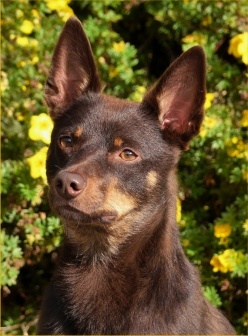 The biggest priority of the kennel Kimbilio is maintenance of working skills which are typical for australian kelpies and it also gives emphasis on health and quality extelier. Benjamin, Maiky, Kelpies and Miya are still trained according to examining orders NZŘ, IPO, TART, KJ, Nosework, Rescue and Obedience. Puppies will be very perspective for all sports and for exhibition success. Puppies will be great partner for all cynological activities and will be loyal and loving member of own family. Socialization is very important process for development of puppies. When socialization is neglected the dog will have problem for its entire life. Therefore our puppies will grow in common household where become accustomed to various sounds, people and objects. Purchase of puppy is possible since 8th week of its age. All puppies will be vaccinated, chipped, examined by vet. The FCI pedigree of each puppy will be available after several month since birth. It will be sent to buyer recommandly. For foreign buyers will be prepared Export Pedigree. Prepayment is common issue among breeders – applicant gives specific sum of money to breeder to have (relative) certainty that applicant will buy a puppy. If the sale of puppy will be successful, prepayment will be subtracted from buying price. Breeder will give to applicant confirmation about receiving the prepayment. Prepayment is important help for breeder in case of applicant cancels his desire for puppy. Breeder have to paste another money and time for searching new applicant, during this time have to feed puppy and pay vet care. So in case of applicant cancels his reservation, the prepayment will not be return. In case of objective reasons (p. e. deflection from standard, illness, death…) there is possible to cancel reservation and prepayment will be return. In case of puppy is older than 8 weeks and applicant will arrive and pay whole sum, there is not necessary to pay prepayment. Prepayment is determined like 1/3 of total price of puppy. Breeder and applicant will sign sales contract.